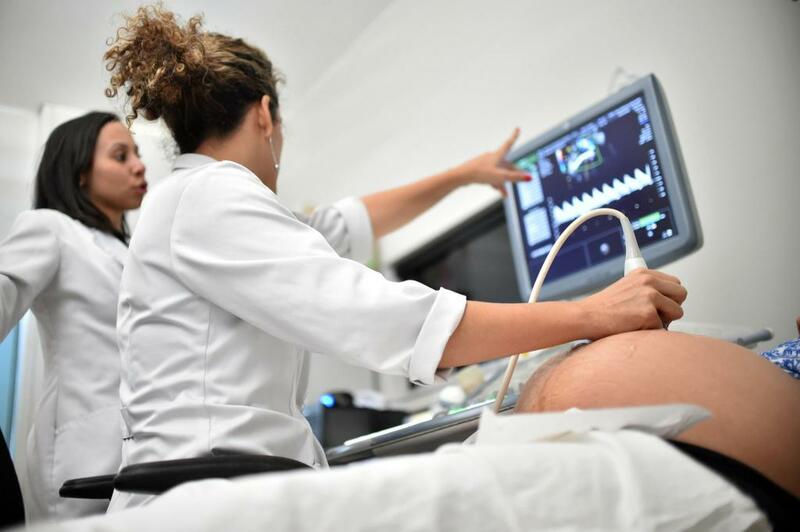 Nearly half of the pregnant women infected with Zika virus (ZIKV) show complications in their pregnancy cycle, new data by researchers from the Oswaldo Cruz Foundation suggest. These complications include miscarriages, signs of abnormal brain development and even brain hemorrhages, the risks of which are highest in the early stages of pregnancy. However, significant problems were seen among women infected just a few weeks before giving birth. Overall, it affected 46 per cent of the infected women who have been studied. Patricia Brasil, an infectious disease researcher at the Oswaldo Cruz Foundation in Rio de Janeiro, and her colleagues carried out the study and published it in The New England Journal of Medicine on December 13. It is the first-of-a-kind report on pregnancy outcomes from women conclusively known to have the virus. At the onset, 345 pregnant women, who had experienced a rash between September 2015 and May 2016, were tested for Zika virus. Out of 345 women, 182 tested positive. By July 2016, the team had compiled data on 125 Zika-infected mothers and their babies as well as 61 women who gave birth with the rash but tested negatively for Zika. It also included observations during babies’ first three months of life. The study used laboratory testing, fetal ultrasonography, infant clinical assessments with anthropometric measures of weight, length and head circumference at birth and brain imaging studies. The study revealed data from the three trimesters of the ZIKV-infected pregnancies. The first trimester infection caused 25 per cent miscarriages out of 20 cases pregnancies. In the second trimester, infection saw three per cent of fetal losses of 71 pregnant women, while third trimester infection caused stillbirths in six per cent of 34 pregnant women. Among 117 live births in the ZIKV-positive group, 49 infants were found to have abnormalities on clinical examination, imaging or both. The researchers claim that their study has a troubling aspect to it. The children were assessed in early infancy when neurological manifestations are difficult to identify and hence, they might have seemed normal, but further follow up has now led to suspicion of neurological disease in those very infants. Hence, the number of infants being affected by the Zika virus may actually be more than what the study presently claims. The paper notes that several infants who had no obvious problems at first showed abnormal MRI brain scans over time and should be followed closely. “Only such cohort studies are able to determine how high the risk of birth defects and other problems is for infected pregnant women and their babies,” Maria Van Kerkhove, an epidemiologist at the Pasteur Institute in Paris has been reported saying. “The results are crucial for being able to counsel expectant mothers,” she added.